Friedrich Dürrenmatt was one of the most important literary figures of the twentieth century, a talent on par with Samuel Beckett, Albert Camus, Jean-Paul Sartre, and Bertolt Brecht. A prolific writer of letters, poems, novels, and shorter fictions, his essays on literary forms as well as those on philosophy and politics provide a window onto his world and his work, demonstrating both his critical acumen and the breadth of his talents as a stylist. 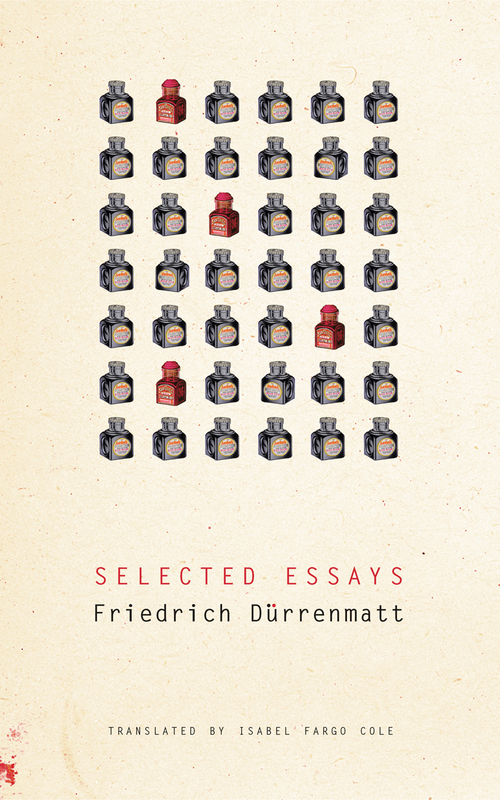 Gathered from throughout his long career, the writings featured in Dürrenmatt’s Selected Essays are by turns playful and polemical, poetic and provocative, mordantly comical and deadly serious. Critics have often been perplexed by Dürrenmatt’s sudden shifts—from stage to prose and back, from comedy to tragedy and vice versa, from writing to drawing. In this volume, the full range of his interests in arts and letters—and their relationships to each other—becomes evident. In one section, a cluster of essays on the theater illuminate his idiosyncratic dramaturgical theories, drawing on examples from Attic comedy to Schiller, Brecht, and professional wrestling. In another, his philosophical essays intermingle his passionate reflections on ethical and political questions with his skeptical forays into metaphysics. And in autobiographical pieces such as the monumental “Vallon de l’Ermitage,” Dürrenmatt offers an intimate look at his “web of time”—the places where he traveled and the people with whom he lived and worked. Suffused with melancholy, flashes of tenderness, and the author’s inimitable sense of the grotesque and absurd, these essays provide a compelling look at the author’s prodigious strength as a writer of nonfiction.